In the Caterpillar Room at Milestones Early Educational Community, infant development begins from 6-weeks-old onward. We encourage the exploration and learning of new things for all ages, especially our infant caterpillars! It is especially important for children under 1-years old to learn on their own and develop a sense of trust. From communication skills such as making two similar sounds such as “ba-ba,” “da-da,” or “ga-ga” and beginning sign language skills to basic playing skills or feeding himself a cracker or cookie, infants are continuously encouraged to delve into the mysteries of everyday life. 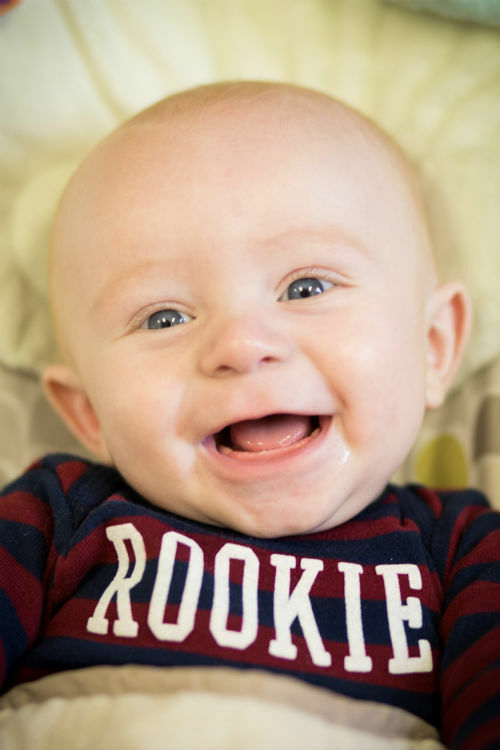 Beginning in the infant development room at Milestones in Menomonie, a stimulating atmosphere will be provided for your child. Milestones is unique, because we provide each infant with a customized environment and daily schedule. Each day is individualized to meet each child’s schedule and their specialized needs. With a low teacher-to-infant ratio, your child’s day will be complete with individualized attention and adventures. Activities range from stacking and placing, to basic sign language skills used for communication, and they will also develop sensory skills. In this room your child will be learning to repeat baby sounds back to you, roll from his back to his tummy, getting both arms out from under him, and picking up a small toy and passing it back from hand to hand. Communication plays a large role for the parents, just as it does for the child. That’s why Milestones stresses the importance of providing continuous monitoring for parents in regards to their child’s daily routines. Milestones uses an app called Brightwheel which allows us to communicate with parents about their daily routines all throughout the day, in real time. We understand that parents want to stay connected with their children when they’re apart, and we feel that Brightwheel works very well at keeping all parties updated. To keep parents further informed, Milestones also sends home a monthly newsletter that describes what we are doing in each classroom, what we touched on last month, and what is to come. It also lists any special days or events coming up, and gives parents reminders about important things going on in the center. We strongly value the importance of the conversations we have with parents at drop off and pick up times and believe this is what sets us apart from others as the most dedicated, reliable and trustworthy childcare center in the area.